Pigouvian Tax is a tax on economic activities that generate negative externalities, which create costs that are borne by unrelated third parties. The costs arising from negative externalities are not reflected in the final cost of a productCost of Goods Manufactured (COGM)Cost of Goods Manufactured (COGM) is a schedule showing the total production costs during a specific period of time. See COGM formula & examples in this guide. COGM is the total costs incurred to manufacture products and transfer them into finished goods inventory for actual retail sale or service. Therefore, the market becomes inefficient. The main purpose of Pigouvian taxes is to oppose market inefficiencies by increasing the marginal private cost by the amount generated by the negative externality. In such a case, the final cost (original cost plus tax) will reflect the full social cost of the economic activityGross Domestic Product (GDP)Gross domestic product (GDP) is a standard measure of a country’s economic health and an indicator of its standard of living. Also, GDP can help compare the. Subsequently, the negative externality will be internalized. The Pigouvian Tax is named after British economist Arthur C. Pigou, who was one of the most prominent contributors to the externality theory in the early 1900s. Learn how to construct the three financial statementsThree Financial StatementsThe three financial statements are the income statement, the balance sheet, and the statement of cash flows. These three core statements are intricately linked to each other and this guide will explain how they all fit together. By following the steps below you'll be able to connect the three statements on your own. with our Free Accounting Fundamentals Course. How does a Pigouvian Tax Work? Under free market conditionsKeynesian Economic TheoryKeynesian Economic Theory is an economic school of though which broadly states that government intervention is needed to help economies emerge out of recess, a negative externality establishes a market equilibrium when the social marginal benefit (SMB) is equal to the personal marginal cost (PMC₁), which is lower than the social marginal cost (SMC) due to the additional costs created by the economic activity. Such a market equilibrium is not efficient. In the ideal world, the Pigouvian tax will be imposed at an amount equal to the costs associated with the negative externality. When Pigouvian taxes are imposed, the supply of the economic activity producing the negative externality will decrease. Therefore, the quantity demanded will decrease while the price will increase. 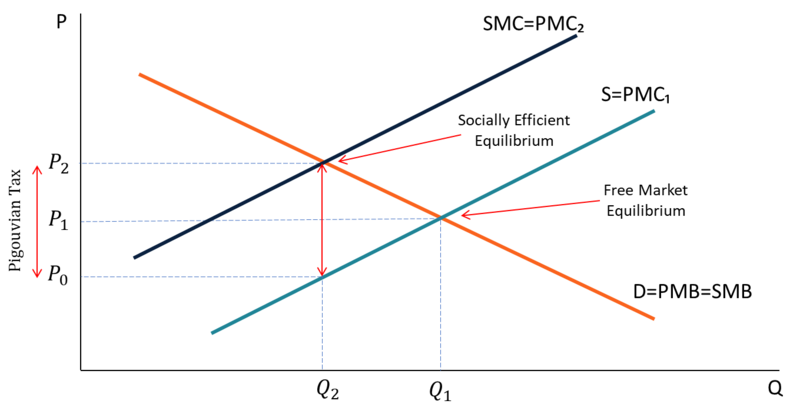 Therefore, the market equilibrium will become socially efficient because the social marginal cost will become equal to the private marginal costMarginal CostMarginal cost is the cost to provide one additional unit of a product or service and is a fundamental principle that is used to derive economically optimal decisions and an important aspect of managerial accounting and financial analysis. It can be calculated as. Pigouvian taxes promote market efficiency by incorporating the additional costs imposed by negative externalities. In certain cases, Pigouvian taxes may effectively discourage the activities that lead to negative externalities. For example, the introduction of a carbon tax may place a significant burden on a company that produces substantial emission gases. Therefore, a company may decide to transfer to operations that produce fewer emission gases. Pigouvian taxes generate additional revenues to the government. The additional funds may be used to subsidize initiatives and programs that will further challenge negative externalities. In theory, Pigouvian taxes must be equal to the costs generated by the negative externality. However, in the real world, the precise measurement of the costs is not always possible. Thus, in practice, Pigouvian taxes are less effective than in theory. The imposition of Pigouvian taxes is frequently associated with political problems. Government attempts to introduce such taxes generally face resistance from lobbyists who support parties that can be affected by the taxes (e.g., tobacco producers). Therefore, Pigouvian taxes are not always an optimal solution from a political perspective. 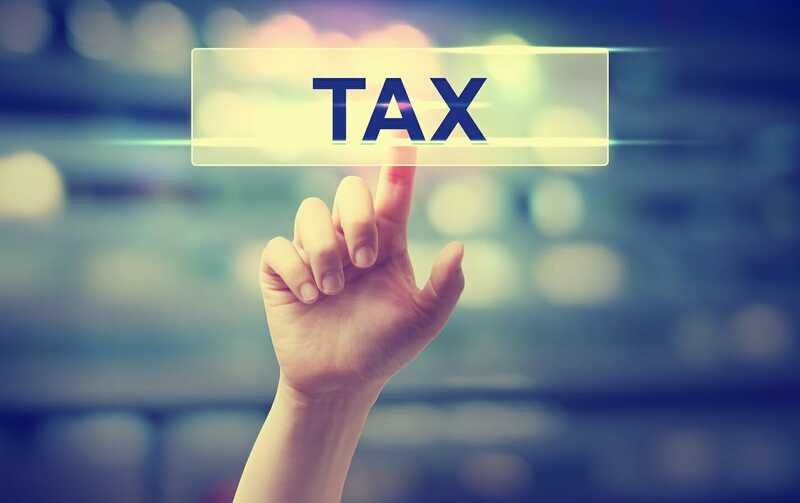 Tax HavenTax HavenA tax haven or offshore financial center is any country or jurisdiction that offers minimal tax liability to foreign individuals and businesses. Tax havens do not require businesses to operate out of their country or the individuals to reside in their country to receive tax benefits.